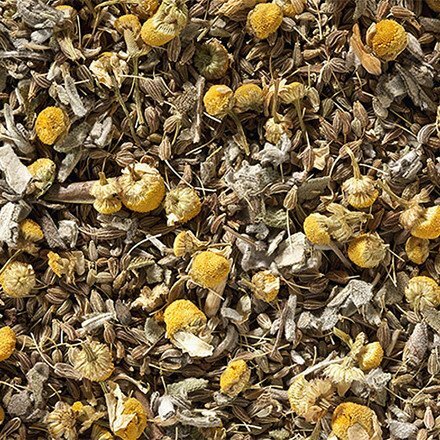 Peaceful chamomile herbal tea - Monsieur T.
There’s no better way towards a healthy living and deep sleep than a comforting dose of chamomile. When you need a relaxing treatment, opt for this herbal tea with anise, chamomile (of course) and sage flowers. An organic remedy that warms body and soul. Contains: Anise, chamomile flowers, sage flowers.